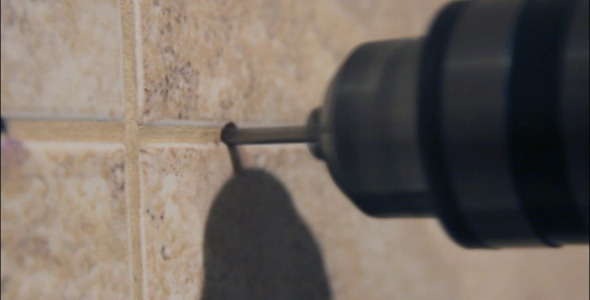 3 full HD 29 .97 clips of a drill making a hole in a bathroom wall. Alpha Channel: No; Looped Video: No; Frame Rate: 29.97; Resolution: 1920x1080; Video Encoding: Photo JPEG; File Size: 479mb; Total Clip(s) Length: 0:15. View Of A Sailboat From Above; Clouds Passing By Seen Through Airplane Window; Clouds Passing By From Above Airplane; Airplane Flying Above German Town; Paris Rooftops; Washington Metro Station; Metro Stairs. Keywords: bathroom, break, construction, drill, driller, drilling, hanging, hole, home, household, repair, repairing, wall, work.